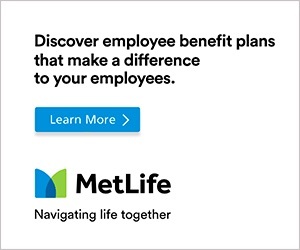 ELMSFORD, N.Y. (January 23, 2019) —Seventeen-time PGA TOUR champion Jim Furyk will be honored with one of golf’s most prestigious awards —the Gold Tee Award – by the Metropolitan Golf Writers Association at its 68th National Awards Dinner on Monday, May 13, 2019 at the Westchester Marriott in Tarrytown, New York. Furyk joined the PGA TOUR in 1994 and became one of its most consistent and successful players. He won the 2003 U.S. Open, the 2010 TOUR Championship and was the 2010 FedEx Cup and PGA TOUR Player of the Year. He is a seven-time President’s Cup team member, played on nine Ryder Cup teams and captained the 2018 USA Ryder Cup team. He is fourth on the all-time PGA TOUR Career Earnings list, is the 6th player in PGA TOUR history to shoot a 59 during a tournament (the 2013 BMW Championship) and set the record for the lowest single-round score in PGA TOUR history when he shot a 58 at the 2016 Travelers Championship. It can be said that golf is in Jim Furyk’s genes. His father, Mike, was an Assistant Pro at several local clubs and Head Pro at Uniontown Country Club in Uniontown, PA. Mike was young Jim’s only golf instructor, and he nurtured his son’s unorthodox but natural swing. That swing served Jim well – he won the state golf championship before graduating high school. He went on to play at the University of Arizona, where he was a two-time All-American and led the Wildcats to their first and only NCAA title in 1992. 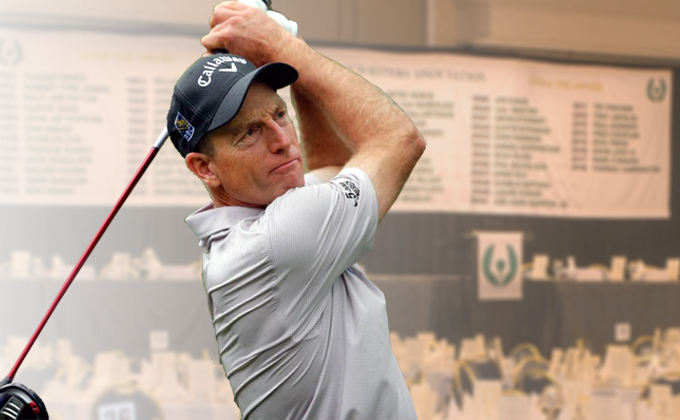 Furyk is a champion off the course as well – he and his wife have established the Jim and Tabitha Furyk Foundation. Based in Jacksonville, Florida, this nonprofit’s mission is to help children and families in need through events such as the Furyk & Friends Concert and Celebrity Golf Classic, Hope for the Holidays, and Operation Shower. The Foundation supports national projects such as Blessings in a Backpack, The First Tee, PGA Reach, as well as numerous local charities and organizations. The Gold Tee Award, the Metropolitan Golf Writers Association’s highest honor, is presented to an individual whose career achievements exemplify the best spirit and traditions of the sport of golf. The Gold Tee has been awarded to such luminaries as Bobby Jones, Ben Hogan, Sam Snead, Byron Nelson, Arnold Palmer, Jack Nicklaus, Gary Player, Billy Casper, Nancy Lopez, Tom Watson, Phil Mickelson and Annika Sorenstam. More recently, Fred Couples (2014), Nick Price (2015), Davis Love III (2016), Mark O’Meara (2017) and Padraig Harrington (2018) have all been honored with this esteemed award. The MGWA has recognized the game’s greatest players, contributors, and organizations at its National Awards Dinner – the longest-running and often the largest golf dinner in the U.S. each year – since 1952. This annual event is attended by nearly 600 guests, representing golf’s leading organizations, corporate supporters, Met Area Clubs and Club leaders, as well as local and national golf media. This year’s Dinner is sponsored by Rolex, PGA of America, USGA, ShopRite, Eiger Marketing Group, Sterling National Bank, LPGA and MGA and will be hosted by MGWA Vice President/PGA Professional and Sirius XM Radio Personality Brian Crowell. New York area; the MGA Foundation; and the Dave Marr Journalism Scholarship at Columbia University. For tickets or additional information, please contact Robin Sauerhaft at (914) 347-4653 or rsauerhaft@mgagolf.org.